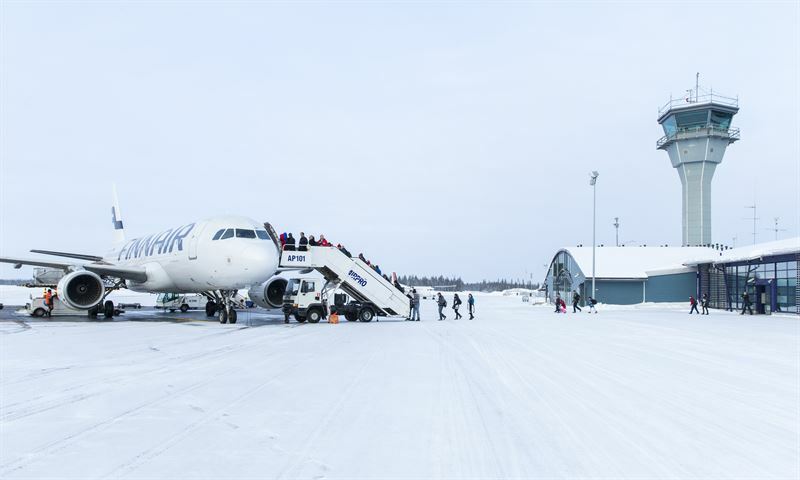 The Finnish airport operator Finavia has decided to adopt Neste MY Renewable Diesel™ in its vehicles at Rovaniemi, Kuusamo, Ivalo and Kittilä airports. Neste MY Renewable Diesel is produced from waste and residues. The switch to renewable fuel is part of Finavia’s goal to make its airports carbon dioxide neutral by 2020. “Helsinki Airport is already carbon dioxide neutral. Next we will aim to achieve the same in our airports in Lapland. Using Neste MY Renewable Diesel as our vehicle fuel is a key part of our climate program. It is excellently suited to our purposes, as it helps us reduce our greenhouse gas emissions by as much as 90 percent compared to the emissions from conventional fossil diesel,” says Mikko Viinikainen, Vice President, Sustainability & Environment at Finavia. Neste MY Renewable Diesel has been in use at Helsinki Airport for over a year for example in Apron buses. During this period, the product has helped Finavia to reduce its greenhouse gas emissions by 610 metric tons. This reduction is equivalent to traveling 110 times around the Earth by a diesel car. “Finavia’s efforts in this area are pioneering on an international scale, and Finavia has ambitious goals for reducing its emissions. We are delighted to be able to extend our cooperation with Finavia and help it achieve its goals. Diesel vehicles can switch to using Neste MY Renewable Diesel without having to make any changes to existing engines. Also for years now our refueling trucks have used Neste MY Renewable Diesel. The product is an ideal choice for the Nordic climate, since it can withstand temperatures as low as -34 °C,” explains Sam Holmberg, Vice President of Neste Marketing and Services in Finland. “At present Neste MY Renewable Diesel is available from a total of 13 light traffic and 13 heavy traffic filling stations in southern Finland, Jyväskylä and Seinäjoki, and we have plans to extend its availability to northern Finland in the near future,” Holmberg continues.